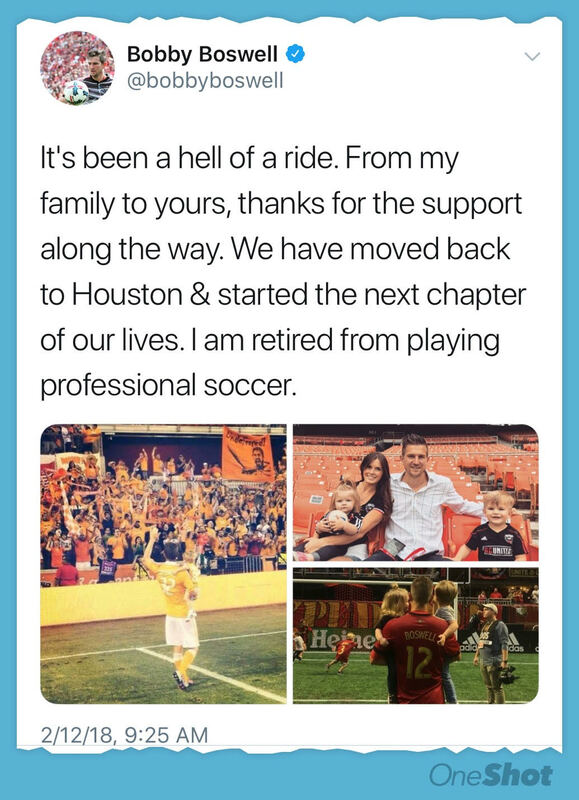 After 13 seasons playing in Major League Soccer (MLS), Club Alumn, Bobby Boswell, announced his MLS retirement. ESPN reported this week, “The 2006 MLS Defender of the Year, Boswell played six and a half years over two stints with D.C. United and another six seasons with the Houston Dynamo, before finishing his career with Atlanta United.” CLICK HERE for the the MLS article. You may have followed Bobby and his MLS teams over the years, but you may not have realized that Bobby is a long time Club player playing for two of our oldest heritage clubs (Black Watch Soccer Club & Clearwater Chargers Soccer Club) that, through multiple mergers, are all part of the current Chargers Soccer Club organization. The logos of our heritage clubs are shown in the margins of the this website's web pages. Frank Deak, Black Watch historian & longtime member of the Club's Tampa Over 50 men’s team, relayed . . . In his youth, Bobby played on the Carrollwood Lightning, coached by Bruce Gordon and Steve Wegerle. In 1997 that team won the Nike U-14 US Championship at Nike Headquarters in Oregon and represented the US at the U-14 Nike World Cup in South Africa. 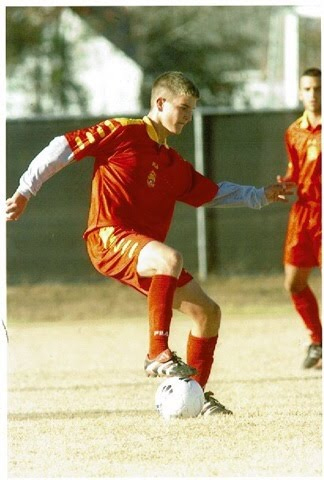 CLICK HERE for photos of his pre-Black Watch days that are mostly with Carrollwood Lightning, including trips to Italy, winning the Paris Cup, South Africa for the Nike U-14 World Cup, and a visit with Luciano Fernandez' team to Brazil, including the "Professor of Soccer" who recruited Pele at Santos, and Zico's Soccer Academy. 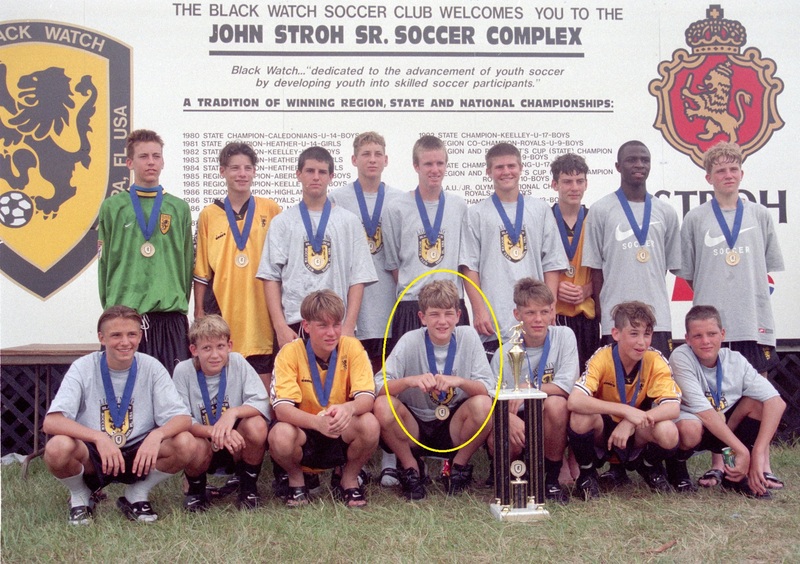 Later in 1997, the whole Lightning team moved from Carrollwood to the Black Watch Soccer Club, where Bobby played for several years. CLICK HERE for terrific photos of Bobby, mostly from his Black Watch days. In one of them, Bobby plays against Jermaine Jones at the now Chargers 30th Street soccer complex. Jermaine was a member of Eintracht Frankfurt's youth team who was here for the Sun Bowl. Jermaine and Bobby both later played on the US Mens' National Team. After a few years at Black Watch, Bobby switched from Black Watch to Clearwater Chargers, who were arch rivals at that time. 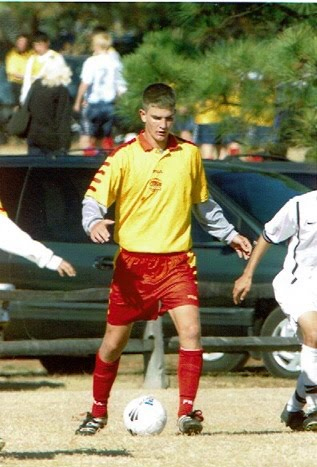 Bobby was also a standout at Plant High School before moving on to FIU and then MLS. Peter Mannino, Chargers Director of Coaching and Bobby’s coach during his Clearwater Chargers days, added . . . The best description of Bobby as a Clearwater Charger soccer player and his talents . . . an exemplary team player! His play on the field would probably go unnoticed most of the time but to me, Bobby was the glue and cornerstone of our ’82 Clearwater Chargers team from U17-U19. He played a very simple game on both sides of the ball, with discipline, composure, and good productivity. Simply put, Bobby’s presence made everyone better on and off the field! As a young man and a student/athlete, he was highly motivated to achieve the ambitious goals he set for himself. Bobby’s character, his strong work ethics, and conduct were unique for a young man at his age. All the qualities needed for him to have pursued and become a Professional Soccer player. Bobby, I’m very proud of you. The Chargers Soccer family wishes you a Happy Retirement from MLS and best wishes in this new chapter of your life!! Congratulations, Bobby! We are all proud of you! Let us know whenever you get back to the Tampa Bay area for a visit. We'd love to see you!